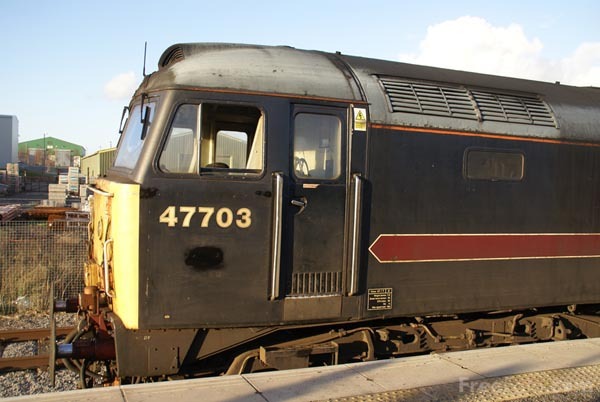 Picture of Class 47 47703 on the Wensleydale Railway on 6 January 2008. These pictures show the very last train of the Winter season. The 14:35 from Leeming Bar to Redmire and return.